My aunt and uncle have left now – I thoroughly enjoyed having them here. 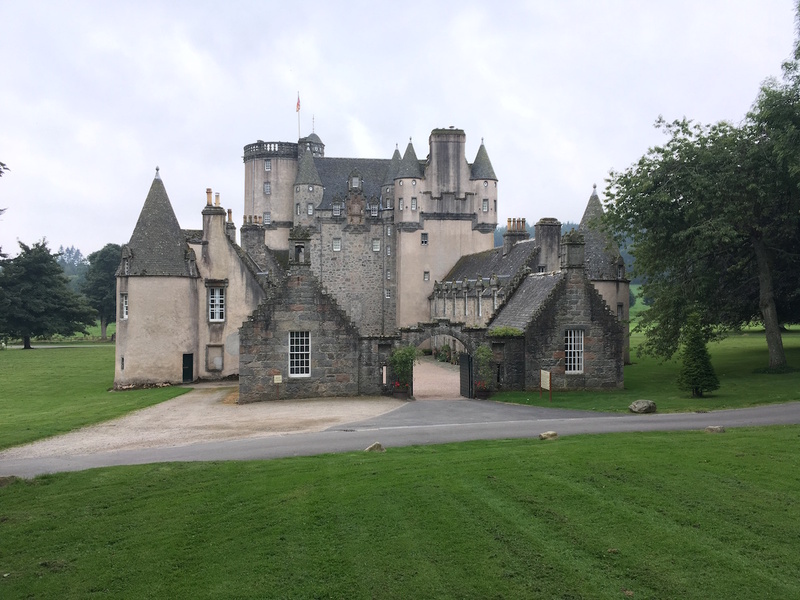 We went to Castle Fraser on Thursday and I’m only just getting around to posting the pics. I haven’t been there for over a year and it was wonderful. 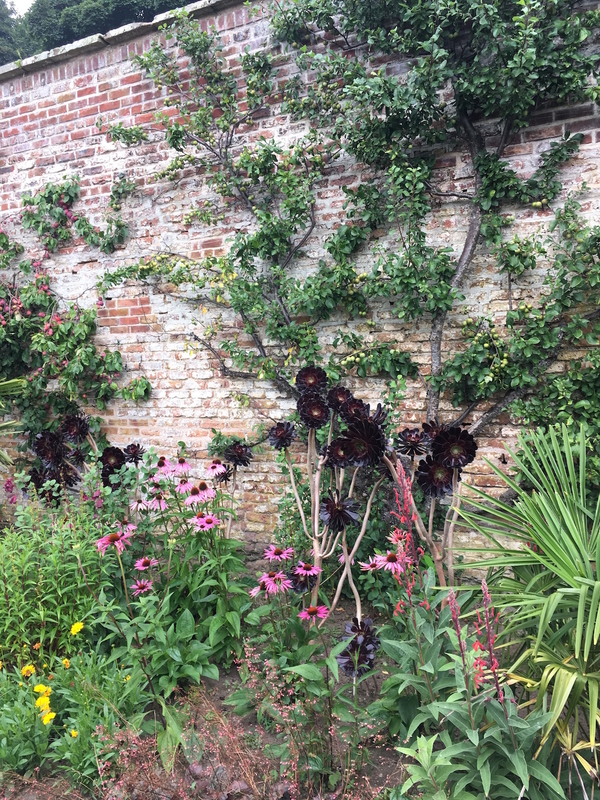 The walled garden is one of the best I’ve seen with a very productive vegetable garden and lots of fruit trees. It’s an attractive castle from the outside. I like the gateway into the courtyard and the asymmetry. There’s a nice view from the top. 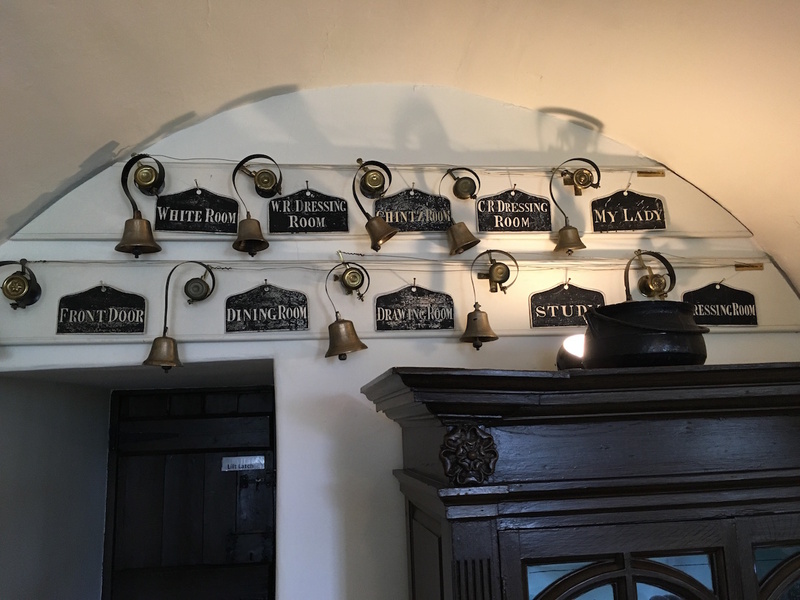 Here are the servants’ bells. 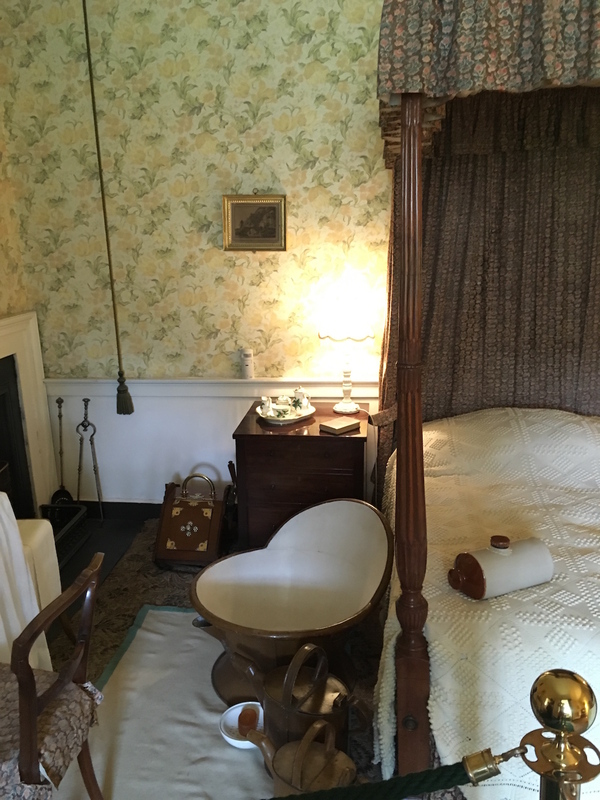 This is one of the bedrooms and you can see the rope hanging on the left which would have activated the corresponding bell in the servants’ quarters. Very high tech 🙂 The big tub is a bath and the ceramic bottle on the bed is an old hot water bottle. They currently have a 19th century wedding dress on display which was worn by Blanche Mackenzie Fraser on her wedding day. 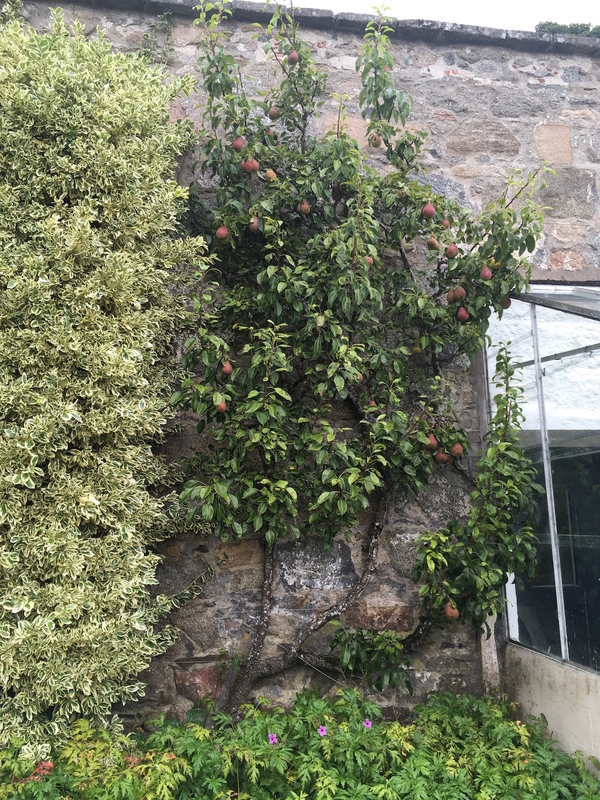 Most of these old castles also have what is called a Laird’s Lug which was a way for the Lord to eavesdrop on conversations in the great hall, and Castle Fraser is no exception. It seems humans have been eavesdropping on each other for centuries; only the technology has changed. 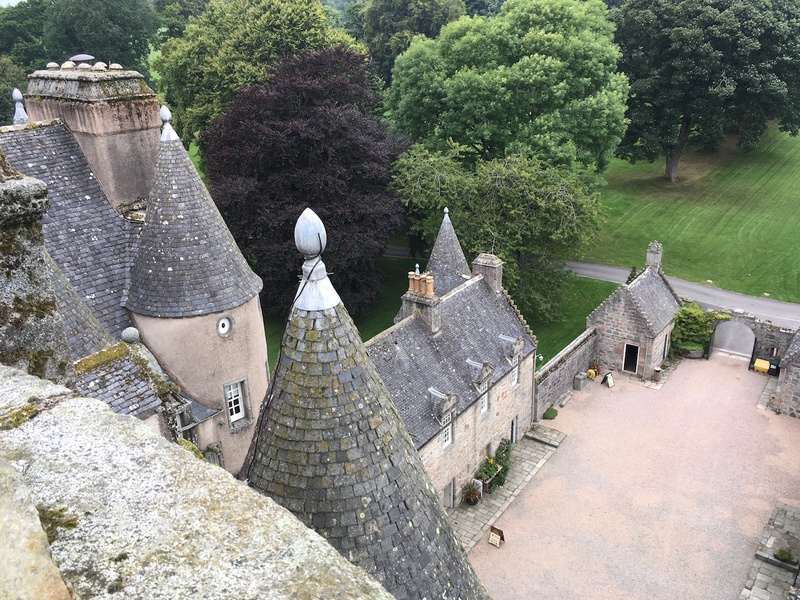 I asked the helpful employees at the castle why this one is called Castle Fraser and not Fraser Castle and apparently this is something the Fraser family chose to do to make the Fraser name seem more important. They also told us that no-one knows where the Fraser descendants now live but they think some left for Australia. 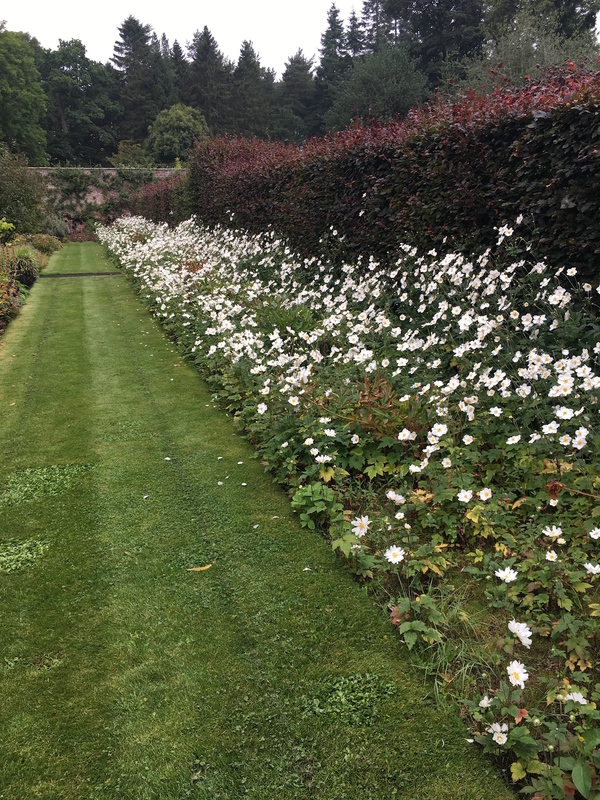 The property is owned by the National Trust now. 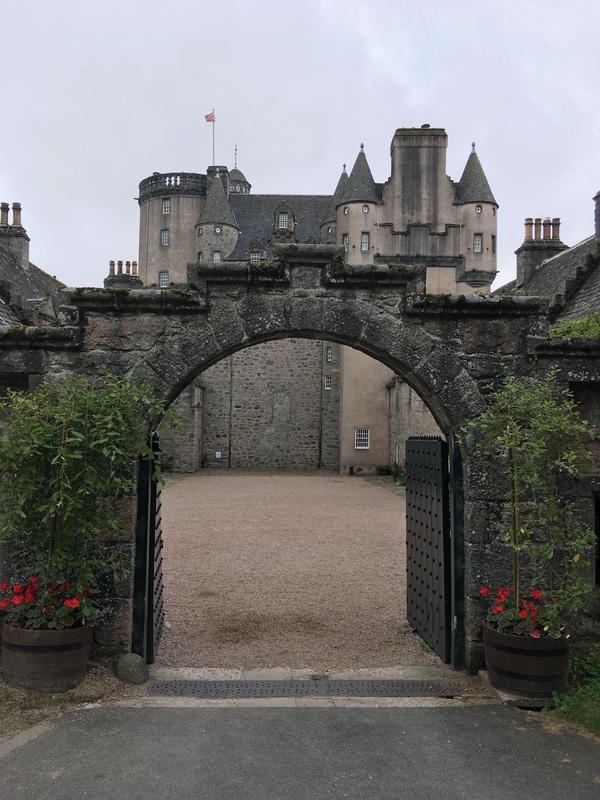 Posted in Journal, Travel and tagged Aberdeenshire, castle, Castle Fraser, castles, garden, National Trust, photos, Scotland. Bookmark the permalink. I enjoy your castle tours. Thanks. Maybe it’s the camera angle, but does the wedding dress seem exceptionally small by present day standards? 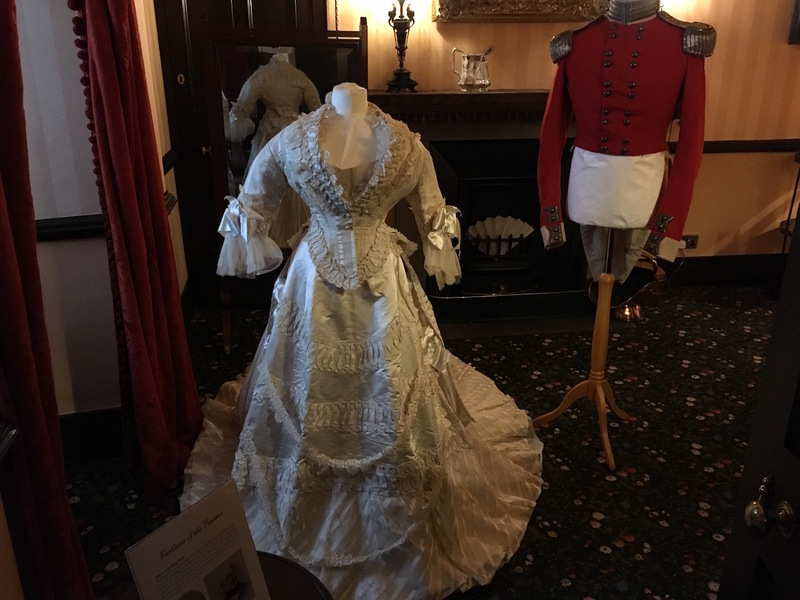 When I toured a Victorian mansion with a similar display, the women’s dresses all looked tiny, or at least made for a person who was shorter than me (I’m 5-foot five inches). I wonder if the brides simply got married much earlier in life or if humans were much shorter then. It was a tiny dress. 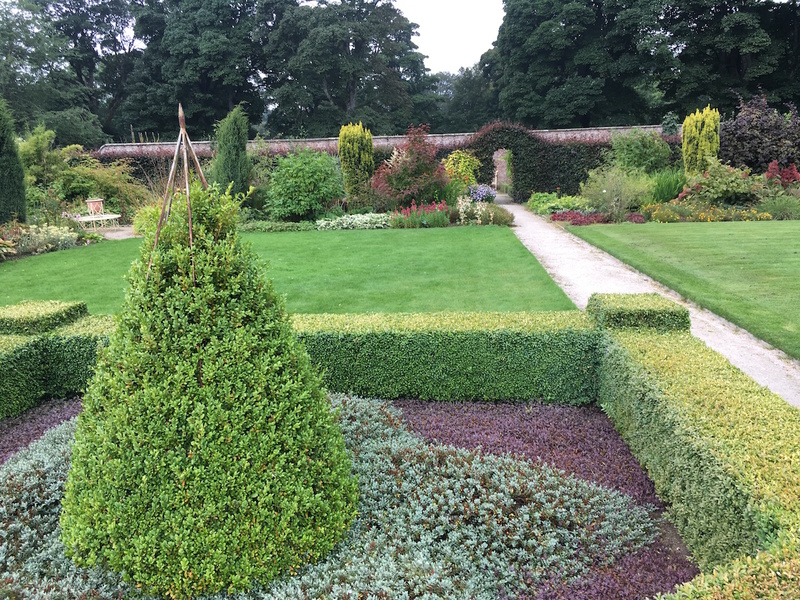 People were shorter back then – you can tell by looking at their beds which do t look long enough.